Microsoft has confirmed that Service Pack 1 for Windows 7 is due for release real soon now - and a public beta will be available starting next month. The news, which according to PCWorld was announced at Microsoft's TechEd event, will come as a blessing to companies that were - quite sensibly - waiting for the first service pack to be released before adopting Windows 7 as an enterprise operating system, allowing others to perform the 'beta' testing of Microsoft's latest OS. 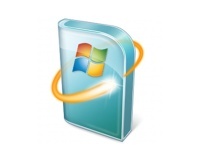 A post on the Windows Team Blog by Gavriella Schuster confirms that the public beta - which covers all versions of Windows 7 along with Windows Server 2008 R2 - will begin next month, but categorically states that there'll be no freebies this time around: in Schuster's words, "SP1 will not contain any new features that are specific to Windows 7 itself[, but] will simply be the combination of updates already available through Windows Update and additional hotfixes based on feedback by our customers and partners." Although many are likely to be disappointed by the lack of shiny new features in Service Pack 1, it's good news again for the enterprise customers: with no feature creep, there's less for corporate IT departments to test before planning a full roll-out of the update. The release will be good news for home users, too, offering those who purchase new Windows 7-based hardware the likelihood that it will be fairly up-to-date as soon as they get it out of the box - for a short while, anyway - while offering those who already use Windows 7 an easy way to get their system updated with the latest security patches and bug fixes. 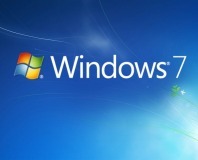 While no official launch date for full version of Windows 7 Service Pack 1 has been announced by Microsoft, a full release is certain before the end of the year. Are you pleased to see Service Pack 1 heading to the Windows 7 platform, or is it sad that Microsoft feels the need to release a patch bundle so early in the product's life cycle? Have you been keeping your Windows XP system up and running just waiting for Microsoft to make SP1 available, and will the beta be enough to tempt you to upgrade? Share your thoughts over in the forums. The first major update to the popular operating system will be freely available on 22 February.